Two star veteran (ready to go 3***). Evil Munchkin (Rambo) is a 2003, 15.3H Holsteiner gelding, with plenty of 2* mileage with a junior/young rider and will be ready to do a CCI3* this spring. Intermediate dream, two star veteran, three star potential. 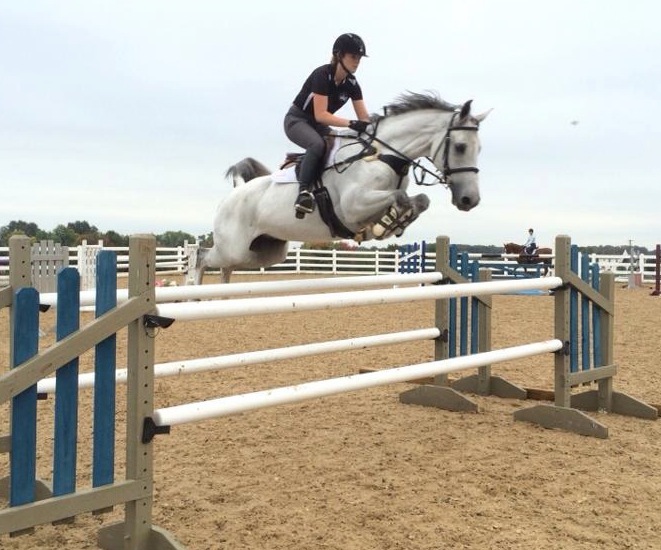 This is a rare opportunity to buy a COMPETITIVE upper level horse that is easy enough for a very inexperienced junior rider. Brought up through the levels by a young girl he has had a very successful career so far. He is a freakishly careful jumper (he could easily win NAJYRC junior Show Jumping), he only had one rail this season and it was 110% rider error. A very flashy mover in dressage as well, this horse could definitely win a gold medal at NAJYRCs this year or get someone to the Pan American Games. His price will increase with three-star mileage this spring. Evil Munchkin would suit a child with ambitions to move up the levels or a pro looking to add another top horse to their barn. I can honestly say he will be the funnest horse you will ever ride.